Herbal Products made with conventional bases and herbal extracts/oils. 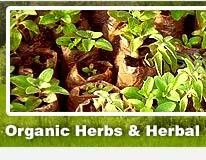 We can supply seeds and planting material for almost all the herbs, spices and other plants we are dealing with. We offer certified organic seeds as well as natural seeds. Most of these are from our own farms and nurseries. We can source from other farmers, nurseries and institutions any seeds or planting materials which are not available with us. We can supply these seeds and plants in small packs for kitchen gardens and herbal enthusiasts and at the same time we can also supply seeds and plants for large scale commercial cultivation. 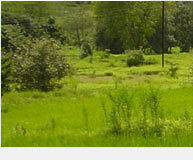 In the latter case, we are also happy to provide free guidance for cultivation and buy back arrangements. We can also supply Organic Seeds and Plants certified by OneCert under NOP of USDA, European Commission Regulation (EEC) 834/2007 and Regulation (EC) 1235/2008 and NPOP of India. Other certifications can be obtained, if required.